Don’t let your friends lead you astray financially. 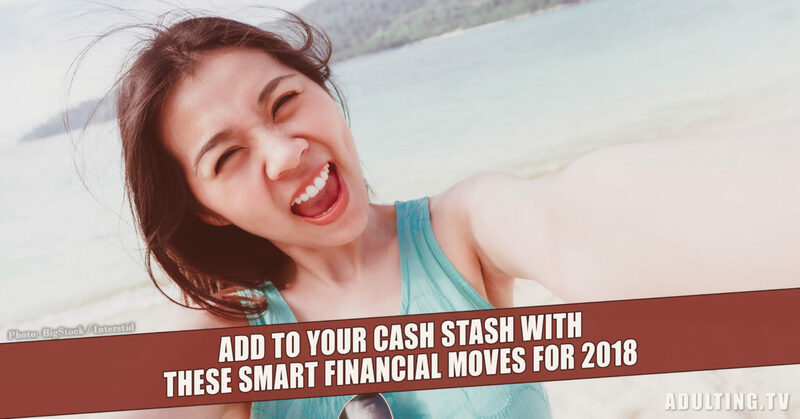 Take charge of your finances and avoid spending money like your fam. We’re all just trying to figure it out after college. Even though some friends seem calm and in control, they’re probably just hiding their uncertainty. It’s easy to get into a feedback loop with this mindset. Everyone compares themselves to idealized versions of their acquaintances. 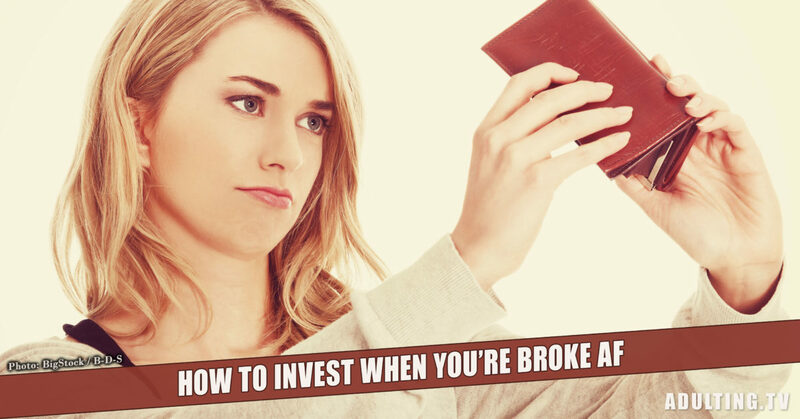 This can be especially harmful when it comes to managing your money. If you spend enough time around people who overspend to gain status, that level of extravagance starts to feel normal. Before you know it, you’re shopping for jewelry and meeting up for expensive brunches every weekend on a barista’s salary. If you feel like your spending is out of control around friends, it’s time to break the cycle. Your friends are bad with money. 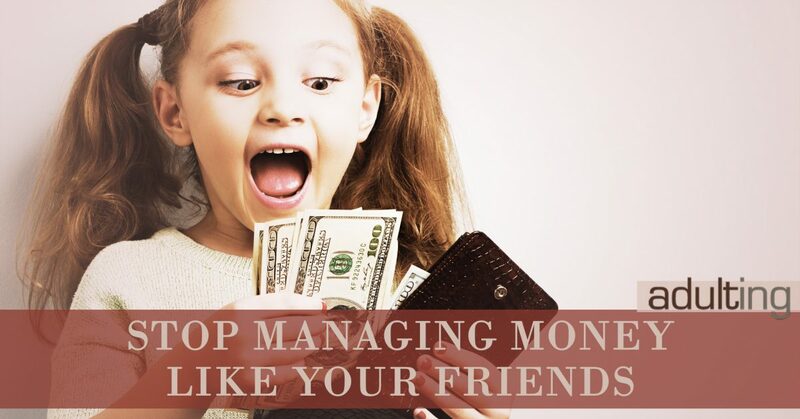 If your friends are anything like the general public – and they probably are – they’re bad at managing money. Almost 75% of Americans are in debt, and the average savings rate is only 5% according to an article from Fiscal Times. Unless you’re part of a select crowd that defies these odds, you can probably benefit from managing your money differently. You put 10% to 15% of your income toward retirement. To retire while you’re still active, you need to be regularly saving in an investment vehicle like an IRA or 401(k) (provided by your employer). If you started saving later in life, you may need to increase your percentage to catch up. You actively pay down debt or are debt-free. When you have debt, you pay interest straight into someone else’s pocket. That interest is money you’re throwing away each time you make a payment. Debt robs your ability to save for long-term goals and enjoy the income you have now. Being debt free is a key part of long-term financial success. You have an emergency fund with three months’ to a year’s worth of expenses. One way to avoid getting into debt is having an emergency fund to cover any surprise expenses that come up. An emergency fund can keep you solvent if you lose your job, need a hospital visit, or have to fly home for a funeral. This is great if your friends live in a basement apartment to save money. It’s not so good if they go out to eat every day. I know I’m tempted by the people I hang out with. If we’re at a restaurant, I’ll get dessert if someone else does. Even though I’m conscious of my money, seeing someone else spend freely gives me the subconscious permission to do the same. It’s the same when I go shopping with someone else. Will friends ever tell you not to buy something you love? Who wants to do that? It’s tough to avoid the influence of your friends, so you need to remind yourself why you’ve decided to spend money a certain way. For example, when I graduated college I made the commitment to pay off my student loans in three years. Having that clear goal in mind made it easier to say no. No to eating out, no to shopping, and no to the bars and clubs. It was still hard, and confusing, to the people around me, but it kept me mostly on track. It’s hard to avoid spending money if all your friends want to do is go out to brunch or buy concert tickets. Instead of saying no or feeling guilty for agreeing, be the person to come up with frugal ideas. Suggest a potluck or wine and cheese night instead of a pricey evening out. This is a strategy I used when I was aggressively paying off my loans. I wanted to hang out with my friends, but I was cautious of going out to eat or going to the movies. Instead, I’d invite them over for Netflix or movie nights. Sometimes my friend Jess and I would go to Costco together or run other errands. Sure, it wasn’t as entertaining as a boozy brunch, but it’s part of the reason I’m debt free today. Plus, spending time together casually can be just as valuable a bonding experience as something that costs money.